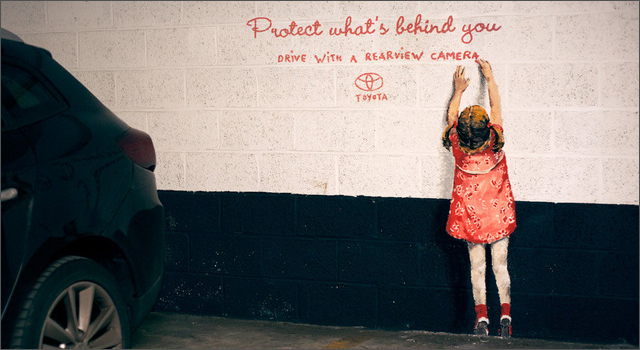 To highlight the positive benefits of rearview cameras, Toyota Belgium collaborated with agency Happiness Brussels and street artist Ernest Zacharevic to create a series of six striking street paintings in a Brussels parking garage. The paintings jump off the wall creating a 3D illusion by using real-world objects such as a ride-on toy, shopping cart and soccer ball, and include the tagline, “Protect what’s behind you. 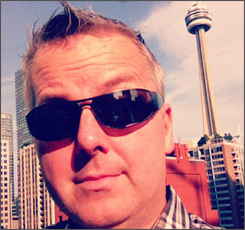 Drive with a rearview camera”.